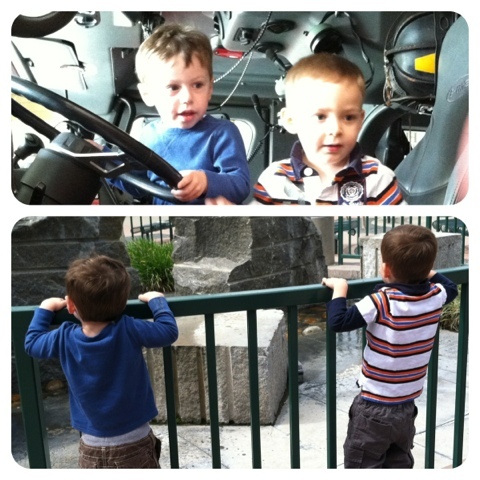 Max and Jack got up close and personal with a few firetrucks this week. They climbed in and out of the driver’s seat, they tried on helmets, they watched the lights on the truck flash. They followed each other around the fire station, speaking the same little language and gesturing to each other where they should go next. Two little (almost) three year olds. Two little minds that think exactly alike. 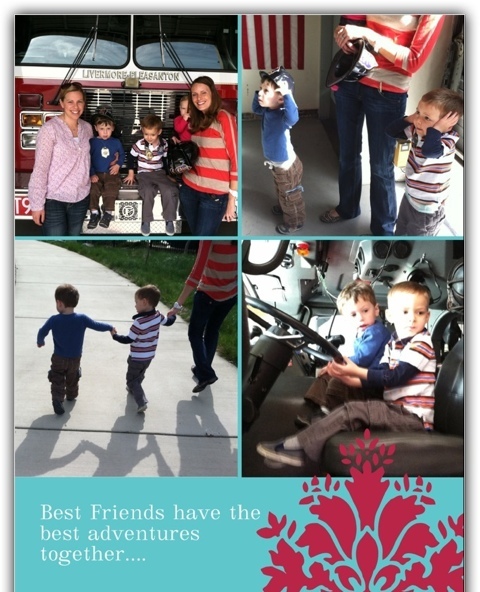 “Are they best friends?” Fireman Jim asked…..
“They are” I replied. “And their moms are” my Roomie added…. How did we get so lucky? I thought…. Two moms, two boys, and a sweet little Molly girl to round out our bunch. The best of friends. We are lucky, indeed.